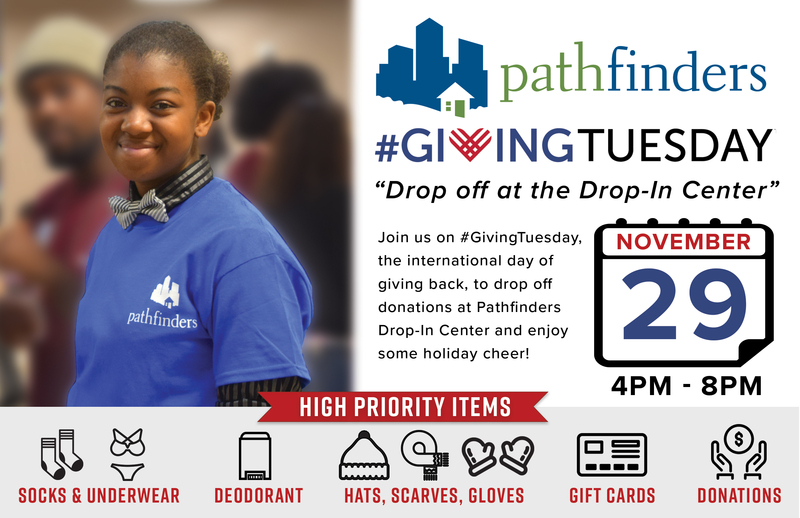 Join us on #GivingTuesday, the international day of giving back, to kick off your year-end fundraising campaign, drop off donations at Pathfinders Drop-In Center, and enjoy some holiday cheer! Pathfinders brings safety, hope and healing to youth in crisis through innovative and transformational services. Our vision is to provide a more meaningful voice for youth in crisis and ensure that all youth are safe, healthy, independent, successful and valued. Volunteers play a critical role in ensuring Pathfinders can successfully fulfill our mission. We have a wide variety of ways you can get involved and make a difference. Your generous contribution to Pathfinders goes a long way in strengthening our community and changing the lives of the young people we serve. How Does Pathfinders Work With Youth In Crisis? Pathfinders has focused its efforts on four core initiatives. 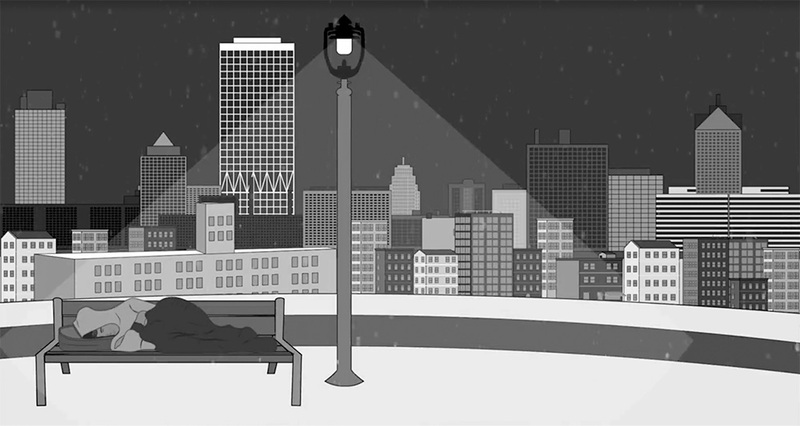 Pathfinders is Wisconsin’s oldest and Milwaukee’s most comprehensive service for youth who are experiencing homelessness or housing instability. We use a Housing First model in order to prioritize creating a safe and stable environment for young people. Pathfinders’ Southeastern Education Center provides focused learning opportunities for middle school students who need additional support and trauma-informed care. Pathfinders also provides targeted interventions to reduce teen pregnancy, HIV/STIs and sexual abuse and violence. Youth need positive, affirming and healthy family relationships. Pathfinders works to reunite youth with their family of origin when appropriate and when that’s not possible, helps youth recruit and engage adult community members to build a family of choice. Across services, Pathfinders ensures that youth are able to develop independent living skills, find employment, manage trauma and gain educational support. The youth-centered goal-making process enhances the likelihood of a successful transition into adulthood.